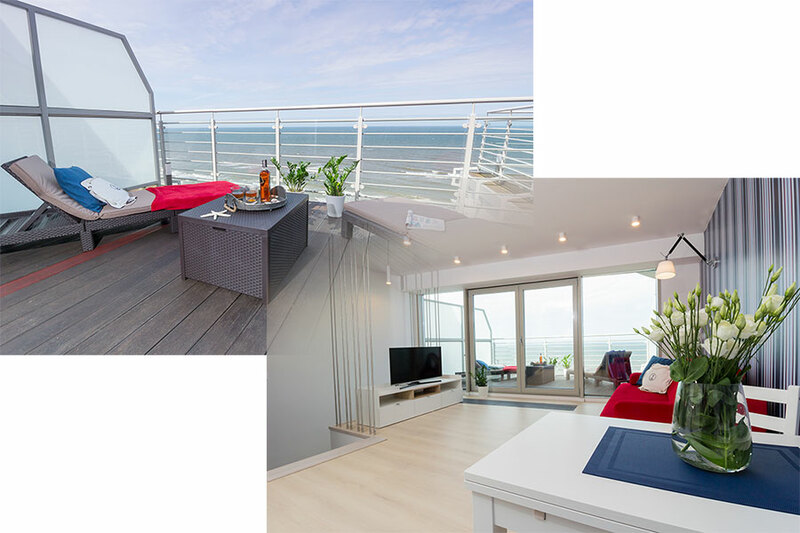 Apartment 165 is located in Dziwnówek, in a building right next to the local beach, with a direct view of the sea. The apartment is located on the 10th and 11th floors and its area is 102 sq.m. (60 sq.m. on the top level and 42 sq.m. on the bottom level). It is a building recently released for use, with modern furnishings, arranged in bright colours, full of warmth and cosy, seaside climate. Parking spaces and bicycle paths are located directly near the building, leading along the coast. We would also like to invite you to visit a restaurant recently opened in the building of the apartment.